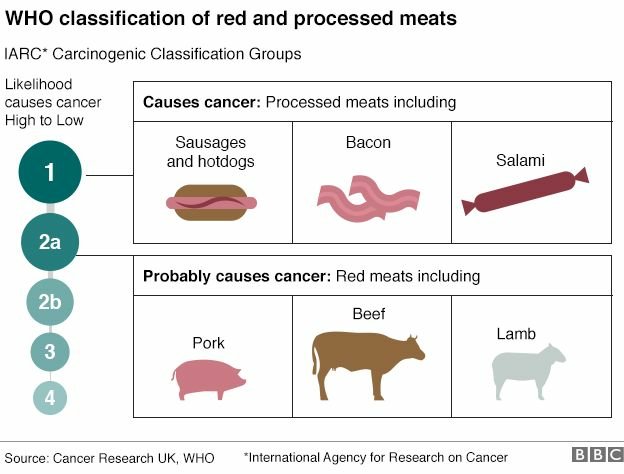 Meanwhile, it said red meats were “probably carcinogenic” but there was limited evidence. The WHO did stress that meat also had health benefits. Cancer Research UK said this was a reason to cut down rather than give up red and processed meats. And added that an occasional bacon sandwich would do little harm.